Batwing awakens from a nightmare and prepares to attend a museum opening for “the Kingdom” Batman is also in attendance. Chaos breaks out when men wearing masks like Massacre scares the crowd. 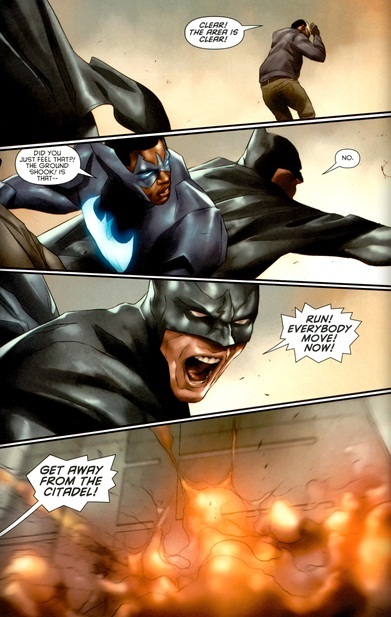 Batman and Batwing tackle them but they radio massacre who detonates a series of bombs which levels the building. 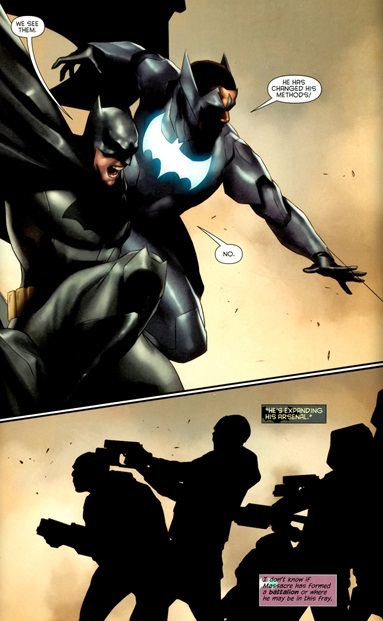 Batwing manages to grab one of the attackers and track his phone call back to its source of origin, Massacre is in Egypt and that’s where they are headed! Art– Back to series regular Ben Oliver, Brian Reber’s colors are back in all their impressionist glory to deliver some seriously slick visuals. Batwing-Each new issue I’m more intrigued by what I learn and more endeared to our hero. His tragic past as a child soldier without parents, idolizing a deranged father figure who made him do unspeakable things, living with the guilt of what he’s done and the eternal atonement! Mystery– We still have no idea who massacre is or why he has waged a one man war on all things related to the Kingdom but man if it’s not an entertaining ride! Africa- I love how the story deals with real world African realities like child soldiers, post traumatic stress etc and now Massacre is in Eqypt so our adventure heads there. 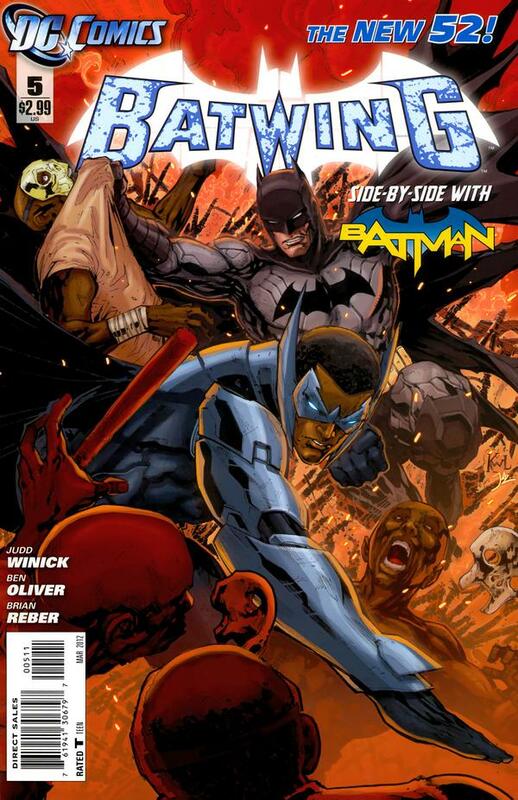 Cover– Batman and Batwing vs the Massacre crew, it looks great! Why?- OK I love a mystery as much as the next guy but five issues in I’m expecting some answers and so far I have none! Art- There a bit too much minimalism in the background of many panels, you can be expected to pay top dollar with this sort of minimalist approach DC, fix it! Batman- His inclusion felt tacked on, I smell editorial mandate to try and boost sales. DC don’t start that slippery slope that Black Panther: most dangerous man alive started down, I won’t tolerate shoddy false advertising! Yesterday I bought this issue (I haven’t yet read the first four but I’ll be getting those soon) as I decided to add a member of the Bat family to my pullist. I enjoyed it and I’m looking forward to reading the next issue.